Pacific Union College is excited to announce several new degree programs offered this coming school year: a bachelor’s in biotechnology; a bachelor’s in religion with an emphasis in mission; and lastly, a bachelor’s in global development studies. 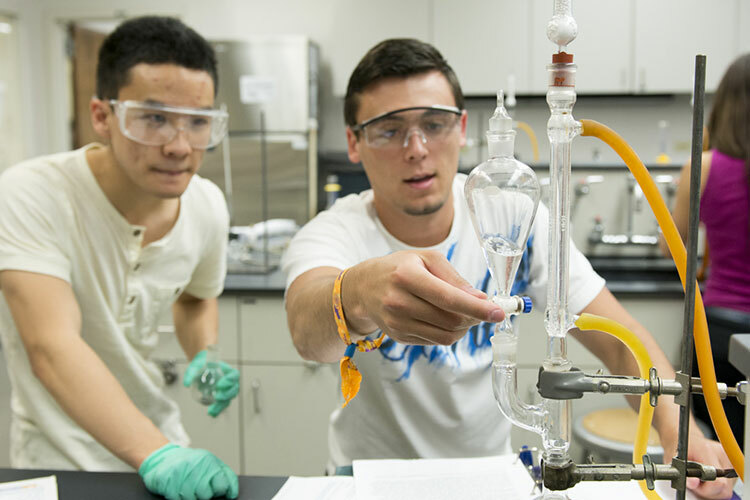 Building upon the foundation of the college’s well-established undergraduate biology program, the biotechnology major prepares students interested in working professionally in biomedical, pharmaceutical, criminal investigative, agricultural, and other related industries. Students can expect to gain a solid foundation in basic and advanced biochemical techniques, along with developing personal ethics that consider the ramifications of biotechnology-related decisions. The program also fully prepares students who wish to pursue more advanced degrees in biotechnology to obtain more illustrious positions as administrators, primary investigators, and other professional positions. The global development studies major offers a flexible approach to students interested in working in various capacities around the world, with career opportunities in administration, research, fundraising, training, advocacy, and relief work. Students will develop critical thinking and analytical skills regarding complex world issues while considering social, economic, political, and cultural factors, all within a faith perspective. Taken in conjunction with another major, students will fulfill a foreign language requirement and participate in a study abroad program or international service project. Students will also complete several online courses in a special collaboration with Southern Adventist University. Lastly, the bachelor’s in religion with a mission emphasis prepares students interested in Adventist missions, ministry, and ministry education. Graduates of the program will gain a plethora of skills to be equipped for careers in missions and sharing the message of Christianity across the globe. Students will take courses on Adventist heritage, evangelism, and ethics, along with participation in a study abroad program or international service project. Students have the option of focusing their studies on mission in the Global North, which includes North America and Europe, or the Global South, which includes Africa, Asia, and Latin America. “We work hard to scan the horizon for new majors and new opportunities for our students to serve both locally and globally,” says Dr. Nancy Lecourt, academic dean and vice president for academic administration. In recent years, PUC has also added new degree programs in music composition, emergency services, health communication, and health sciences.